Home Showbiz and TV The Original Jumanji Cast: Where Are They Now? The Original Jumanji Cast: Where Are They Now? We’ve seen lots and lots of films which were adapted from all sort of books, be it satirical, comic, or romance. But lately, it has become more than usual for old films to be revised in an attempt to keep the story alive; this includes some that were initially animations. Movies that fall into this category are mostly superhero movies like Batman, Spiderman, Superman and many more, and a few other blockbuster movies like Tomb Raider and Jumanji. Most times, in such scenarios, the storyline of these movies remain the same but what would definitely change would be the cast, necessarily because the previous cast must have outgrown the characters they initially portrayed, so fresh faces are used just as was the original Jumanji cast. Sometimes, the storyline might just as well take a little tweak just like in Jumanji but they will still have some similarities between them. Let’s take a good look at the roles played by every member of the Original Jumanji Cast. We shall also look at where the actors currently are. Jumanji is a Zulu word which means Many Effects. Have you ever wondered what it would be like if the fancy games we played become a reality? Fascinating right? Such was the idea of Chris Van Allsburg, who wrote the children’s book Jumanji, which the film was then adapted from. The original Jumanji film was written by Chris Van Allsburg, Greg Taylor, Jonathan Hensleigh and Jim Strain for the fantasy adventure genre and was directed by Joe Johnson. The film was released on December 15, 1995, under the production of Interscope Communications and Teitler Film, and was distributed by Trister Pictures. It was made with a budget of $65million and got a Box Office earning of $263million. The film circles around a teenage boy named Alan Parrish who got trapped in a board game for 26 years and then comes out as an adult and the only way he can reverse the effect of Jumanji is to keep on playing until he wins. It started in 1869 when two brothers buried a chest which contained a supernatural board game with the hope of nobody ever discovering it. A hundred years on, a twelve-year-old boy, Alan Parrish was planning to run away from home after getting into an argument with his dad about him going to boarding school. On his way back from school, he discovers a chest at a construction site which he took home. When his best friend Sarah came to return his bicycle which he left behind following his encounter with bullies back at school, he shows her the board game which was contained in the chest and offered that they both played the board game together. Things began to get creepy when each time they rolled the dice, the game board would move by itself and reveal a cryptic message and instruction in the center of the board which the player must read and perform. After Sarah reads the first message displayed on the board, a spooky noise echoed in the mansion. Alan then inadvertently throws the dice and a message then displayed on the board which tells him to wait in the jungle until someone rolls a 5 or an 8. Alan is then pulled into the board and Sarah is chased out of the mansion by a colony of bats. Over two decades later in 1995, two orphaned siblings, Judy Shepherd and Peter Shepherd move in with their aunt Nora, into the mansion. The siblings soon found Jumanji in the mansion’s attic and began to play the board game. At their first rolls of the dice, they released a swarm of huge Mosquitoes and a troop of Monkeys. They thought of how to reverse that which they have done but it can only be undone when the game ends, which then made them continue playing. A Lion along with grown-up Alan was then released from Peter’s roll. After Alan was released, he took off to look for his parents, he went back to the old shoe factory which his father owned and was told by a wanderer that his parents abandoned the factory many years ago in search of him, and continued to search for him until they died four years back. After receiving the tragic news about his parents, Alan along with Peter and Judy then looked for Sarah as she was part of the puzzle that they needed to finish the game. They found Sarah, who was just recovering from the trauma she got from Alan vanishing right in front of her. They convinced her to rejoin the game as they couldn’t continue the game if she doesn’t take the next turn in rolling the dice. They continued playing the game and in the process, they released lots of jungle animals and plants and practically turning the city into a circus for these wild animals. They kept at it until Alan’s roll released the villain of the film, a big game hunter named Van Pelt. Van Pelt knew that the only way he would be going back into the board is if they finished playing the game, and he made it his priority to make sure he hindered them from doing so by taking the Jumanji from them. Alan was arrested by his cop friend Carl, which left Sarah, Judy and Peter to retrieve Jumanji from Van Pelt. They managed to take back Jumanji from Van Pelt and also got reunited with Alan. The quartet then returned to the mansion, which had then been infested by wildlife. The game kept on releasing wild animals who perpetrated disasters in the city until Alan rolled the last dice, causing everything that was brought out by the game to be sucked back into the game, including Alan. Alan then returned back to 1969, when he and Sarah were still kids but they both had full memories of everything that had happened. They then got rid of Jumanji by throwing it into a river. They got married twenty-six years later and also got reunited with Judy and Peter. The film finished with two French-speaking girls on a beach hearing drumbeats as Jumanji resurfaces, buried partially in the sand. The film has since been revamped, and the 2017 version of Jumanji starred superstar actors like Kevin Hart and Dwayne Johnson. When we talk about the Original Jumanji Cast we try to take a look at those who made the film the hit that it is today. The movie starred the likes of Kirsten Dunst, Bonnie Hunt, Jonathan Hyde, Bradley Pierce and the late Robin Williams. Born on April 30, 1982, in Point Pleasant, New Jersey, Kirsten Dunst was cast as Judy Shepherd in the original Jumanji cast. She has both German and United States citizenship but is more popular for her role in Spiderman 1, 2 & 3 as Mary Jane Watson. She is currently engaged to Jesse Plemons and the couple became parents in early 2018. Dunst resides in Los Angeles, California, United States. Bonnie Lynn Hunt played Sarah Whittle, Alan’s best friend later turned wife, with whom Alan first played the Jumanji with. Her younger self in the movie was played by the Euclid, Ohio-born actress and singer Laura Bell Bundy. Born on September 22, 1961, in Chicago, Illinois, Sarah Whittle is best known for her works in Jumanji and Cheaper by the Dozen. She also voiced in Toy Story 3, Cars 2&3, Monsters University and many more. She made her first TV appearance as a Foxtrot dancer in American Playhouse and has since gone on to feature in a whole lot of films and TV shows. Prior to the original Jumanji cast, she had been active in the acting business since 1984 as a writer, producer, director, actress, and comedienne. Hunt currently lives in her birth city Chi-Town but frequents California. 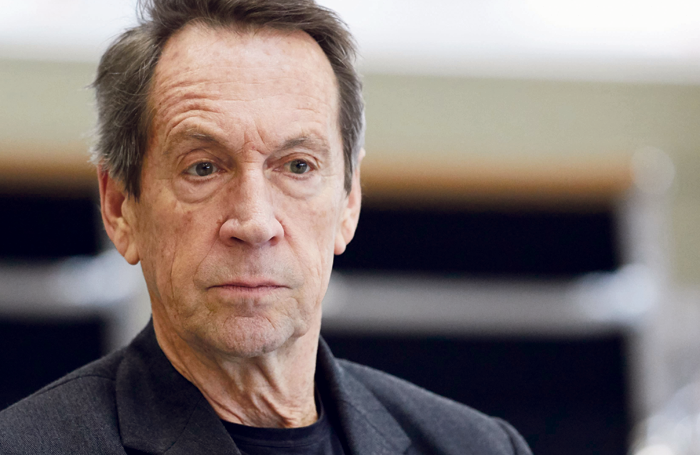 Jonathan Hyde played the role of the villain in Jumanji, as Van Pelt, the big game hunter released by the game, who then tried to stop the four players from finishing the game. He was subsequently was cast as Samuel Parrish, Alan’s father. He is an Australian born English actor, born on May 21, 1948, in Brisbane, Queensland, Australia. He has been in several hit films like Jumanji, Titanic, Anaconda, The Memoirs of Sherlock Homes and The Mummy. He is married to Isobel Buchanan. The couple has two daughters together, one of whom is British actress Georgia May King. He currently lives in England with his wife Isobel. Born on October 23, 1982, in Glendale, Arizona, he played the role of Peter Shepherd in the original Jumanji cast, the brother of Judy Shepherd, the siblings who found the game 26 years after it had trapped Alan. It was Peter’s roll of the dice that ensured Alan returned from the game. Pierce has been active as an actor and filmmaker since he was 6 years old. He resides in Hollywood, California. 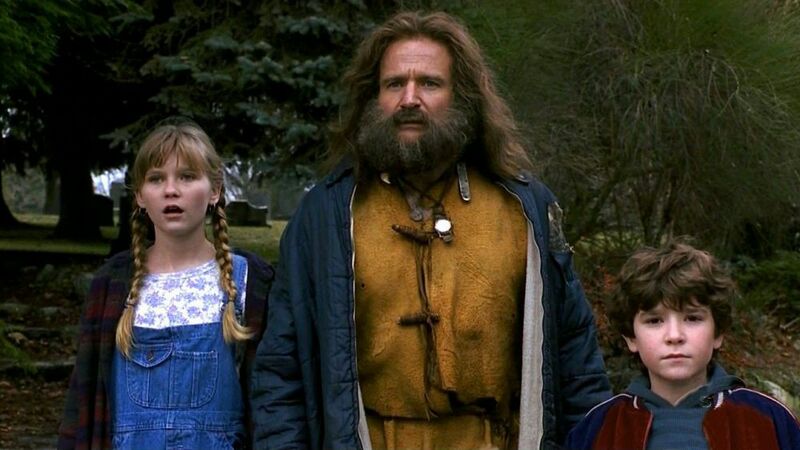 in the original Jumanji cast, Robin Williams played the role of Adult Alan Parrish who came out of the Jumanji after being trapped in the board game for 26 years. The role of young Alan was played by Adam Hann-Byrd. He was born on July 21, 1951, in Chicago, Illinois, grew up with a reputation for making people laugh, which made him venture into a career as a standup comedian. He got noticed by George Schlatter during one of his standup comedy performances and George asked him to make an appearance on his show, Laugh-in. Williams honored the invite and made his first TV appearance on that show. Since then, he has starred in several films like Good Will Hunting, Jumanji and Night at the Museum. Williams had been in three marriages prior to his death and is survived by three kids, one of who is actress Zelda Williams. On August 11, 2004, the world received the shocking news of the death of the Jumanji star. He committed suicide by hanging himself in his home in California.